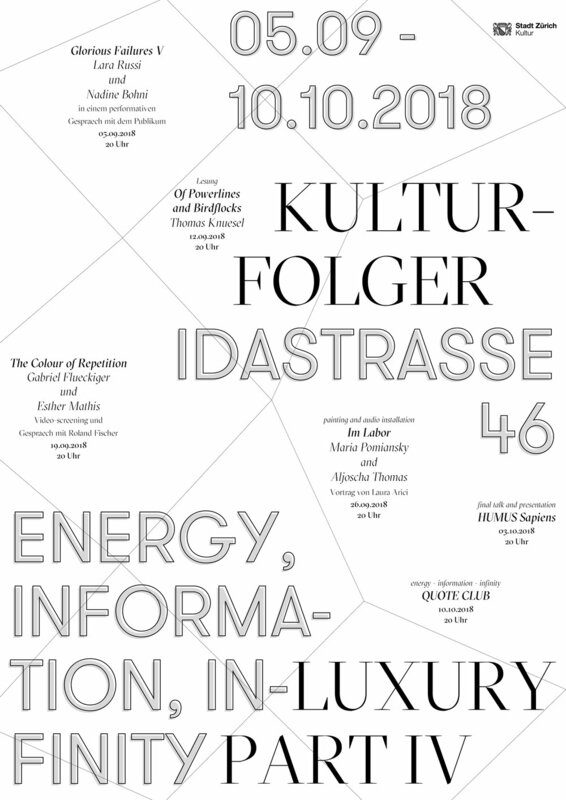 Kulturfolger approaches Luxury by placing artistic works in a in a context of Energy, Information and Infinity, and taking initial situation of artists collaborating with scientists as a test field for articulating new forms of luxury. Kulturfolger's annual theme provokes the artists to question our understanding of science again: research, especially molecular, can only be done with an immense financial and energetic efforts. Since summer 2016, seven Zurich-based artists have collaborated with researchers from University of Basel and ETH Zurich. Initial contact and subsequent independent cooperation between artists and researchers led to different artistic works.